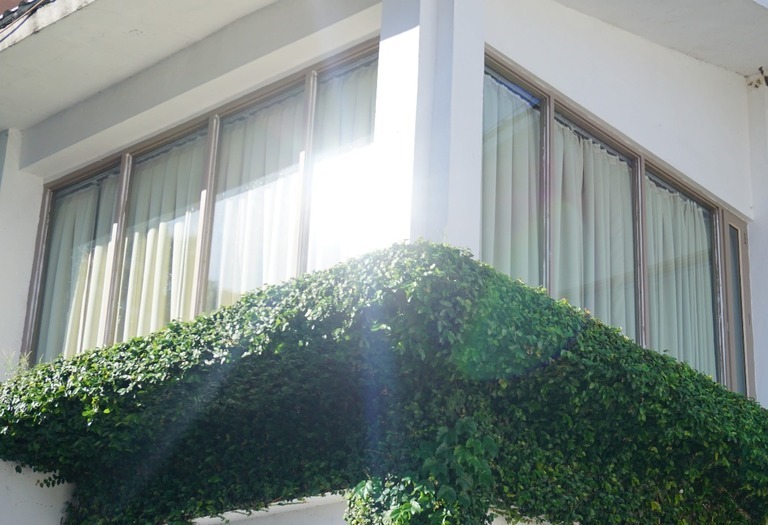 Window coatings that keep heating and cooling costs down are already becoming popular. Scientists are also developing thin, see-through solar cells. Researchers in China have now combined these ideas to produce a material suitable for windows. It could cut an average household's reliance on the electricity grid by more than half. South China University of Technology is working on organic semi-transparent, lightweight, and colourful films that can turn windows into solar panels and heat insulators. Still at the development stage, the scientists expect to be able to improve performance significantly using new materials. Looking ahead, they are also considering the potential of applications like self-powered greenhouses. Many of us want to enjoy our gardens and other outdoor spaces well into the evening during the current hot weather. Outdoor lighting can really add an extra dimension to the experience, but it must be safely installed. All outside sockets must be protected with a residual current device (RCD). Underground cabling should be suitable for outside use and must be well buried to avoid the risk of damage from garden tools. Unless your outdoor lights are clearly labelled as waterproof they should be taken inside after every use. Even waterproof lights shouldn’t be left out all year. Your outdoor lighting equipment should be bought from a reputable retailer. Good light fittings will have an IP rating, which tells you how well they will stand up to outside conditions. The minimum IP rating for garden lighting is IPX3 (or IP43), which protects against rain or spraying water, or IPX4 (or IP44) for exposed areas. Decking or patio lights that are jet-cleaned would need a rating of IPX5 or above. 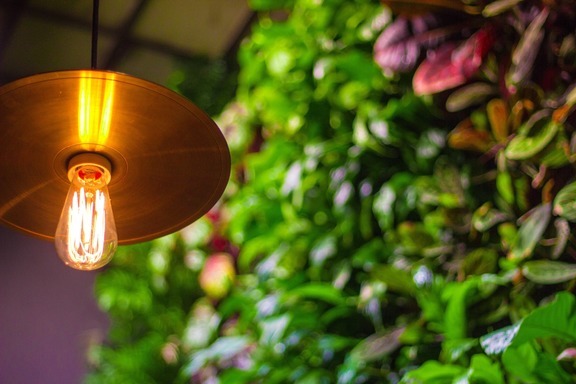 Electrical work in your garden isn’t covered by Part P of the building regulations in England, so you don’t need to advise your local building control department. Look for the BEAB Approved Mark and the European Community (CE) safety symbol. We’ll be happy to advise you about safe and effective lighting schemes for your outdoor spaces – just give us a call. Electrical safety is a top priority. 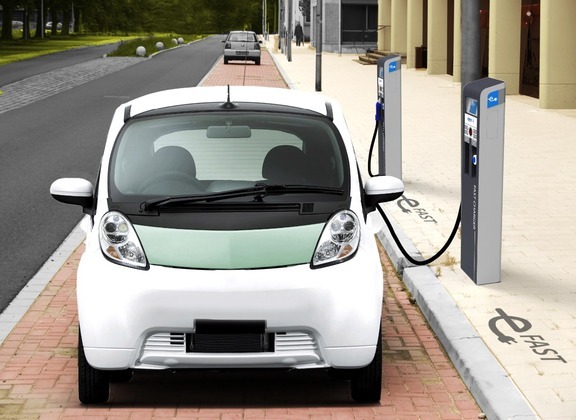 If, for example, you’re an electric car user – or you’re thinking about it – there are some new requirements for public vehicle charging points to protect against electrical shocks. Protective multiple earthing (PME) will be needed, but not for domestic chargers if these requirements aren’t practicable. Just get in touch if you have a question. On 1 July the new Wiring Regulations (BS7671) will be published and will cover all new and rewired installations from 1 January 2019. Here are some examples of what it could mean for you. Arc fault detection devices have been included in the Regulations to reduce fire risks and take into account European Construction Regulations. Both indoor and outdoor embedded electric heating systems for walls, ceilings, floors, roofs, drainpipes, gutters, pipes, stairs, roadways, areas like football fields or lawns and systems for de-icing or frost prevention are also included. In future designs must specify suitable materials to surround the heating units. Protection will also be needed against ‘transient overvoltage’ or brief surges in electrical energy, where human life, public services, cultural heritage, commercial or industrial activity could be affected – which is pretty broad. There will be much more emphasis on risk assessments in this area. Energy efficiency is another theme. A whole new section (Part 8) includes requirements, measurements and recommendations to optimise efficiency for all types of electrical installation. This will cover new installations and modifications. 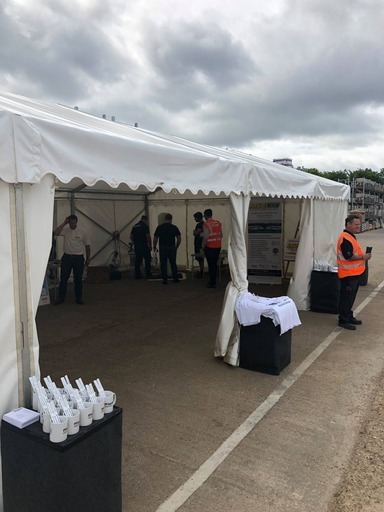 It’s always great to see a project completed, so we were really pleased to join our friends at Hevey Building Supplies for their open days this month. Installing energy efficient LED lighting and power for their new site at Moulton Park was a great project. There’s something rewarding about a major cable pull project and this one certainly qualifies! We used a new ladder system for this installation of two drums of 150mm 4 core cable, each weighing in at over 800kg. Look out for Hevey’s great new store on Moulton Park in Northampton too – another project complete. We also recently installed a 3-phase power supply for individually let units that can all be metered separately. The builders are now busy on the fit-out. 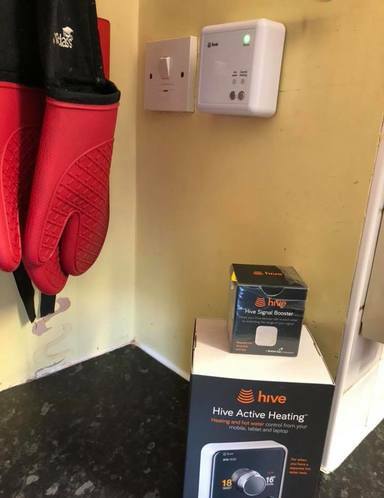 Here’s another neat solution (right) – a recently installed hive heating control system installed at a nursery in Market Harborough. Now they can control the temperature wherever they are. Cool… or warm. Is your electrical cabling up to standard? During 2016 to 17 over 29,000 accidental electrical fires were reported in England. Of these almost 5,250 (18%) were attributed to wiring, cabling or plugs. Over half were due to faulty electrical supplies and a third were caused by faulty appliances and leads. 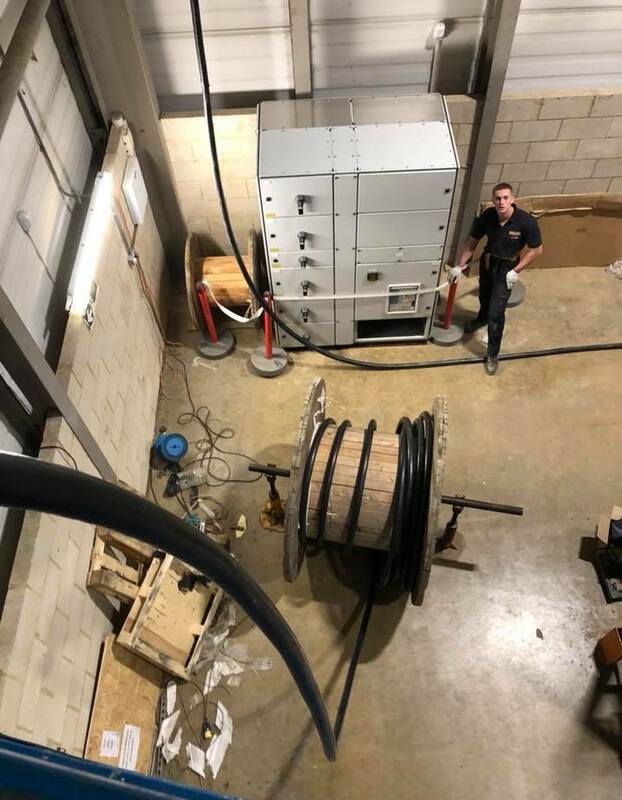 One way to protect against the risks of faulty cabling is to look out for British Standards Institute (BSI) certification. There is now a new BSI Kitemark standard scheme covering the most commonly required standards for electrical cables. Each of the cable’s components is tested to achieve compliance. The elements such as the conductor, the insulation and other materials are already covered by British and European standards. However, to qualify for the Kitemark, each batch of cables must be examined and tested. 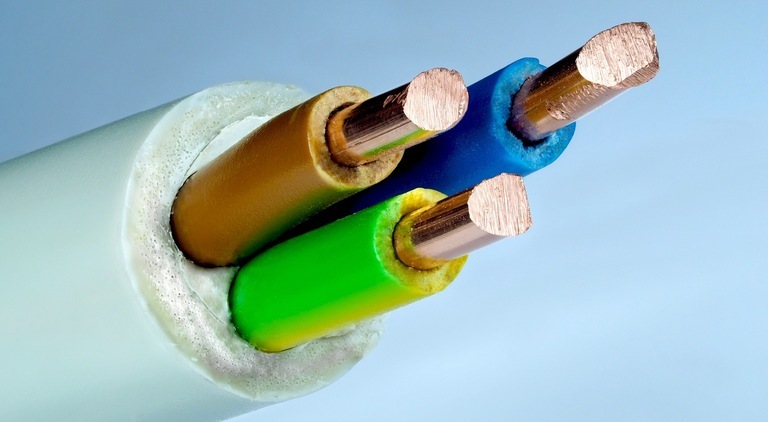 Approval shows that cables meet all of these standards, as well as the overall cable standard, where needed. 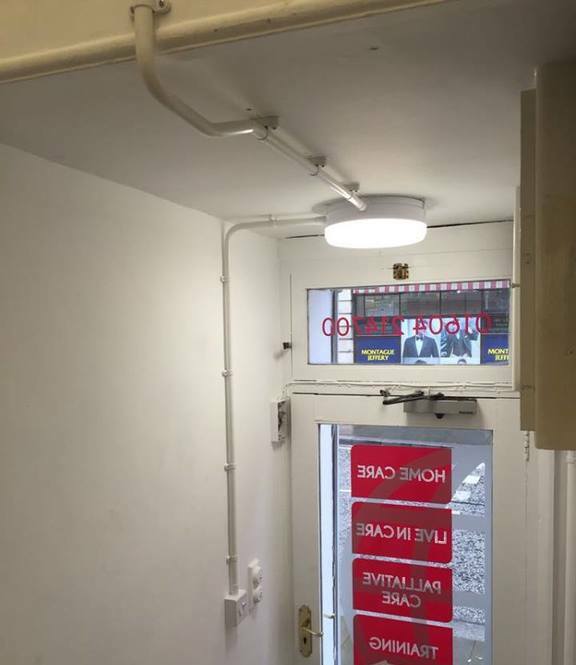 It was time to rewire this office corridor and stairwell (shown on the right) in Derngate, Northampton. There was no earth and it had been wired with rubber cable. Chasing walls and lifting floors to install new cabling in these busy working offices would have been very disruptive. Instead, we showed off our conduit skills with a neat new surface system between the new switches and light fittings. Fast, tidy and effective. 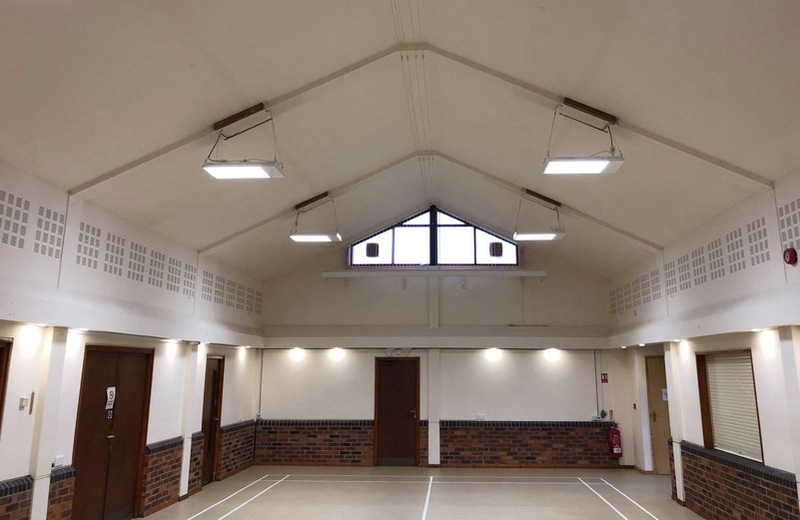 Midshires lighting wholesalers provided the detailed lighting scheme and high quality LED replacement fittings for this village hall (below). We installed the new bright white LED slim fittings suspended from gripple wires in the main hall. The perimeter lighting units were replaced with 6W LED versions. This means that the hall will now have much lower power consumption and higher lumen output. If you’re considering replacing the lighting in your village or community hall, just get in touch. We’ll be very happy to provide cost pay back sheets and lighting schemes. These will show you exactly what can be achieved before you make a decision to upgrade to LEDs. Slugs might be misunderstood – after all, they’re good at clearing up the leftovers in the garden and they have a real taste for quite a few garden nuisances too. Unfortunately, they’re also pretty good at squeezing into tiny spaces, which means that they can find their way into your home. This is what happened to one of our customers at 4am one morning. An intrepid slug got into a junction box under their town house floor. 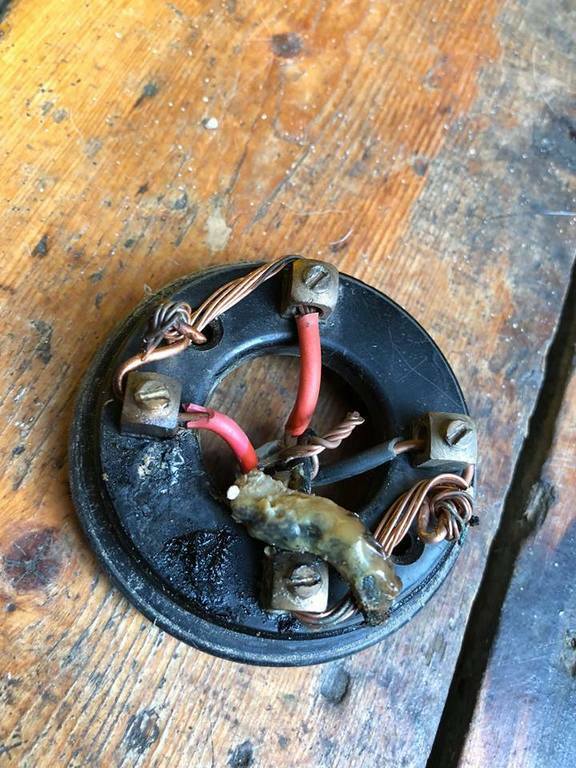 It crossed the live connections, causing the residual current device (RCD) to trip, setting off the house alarm. Not popular with the neighbours! It was lucky that the RCD did its job because this little intruder had caused a large build up of heat in the junction box. The outcome could have been much worse.